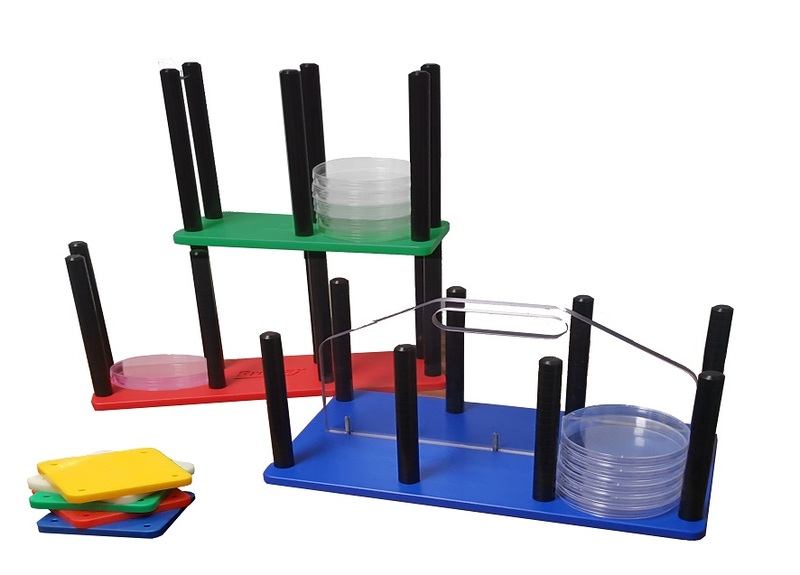 These outstanding Petri Dish Racks are available in a linear or “six pack” design. They are manufactured from a high molecular weight polyethalene (HMWPE) and will withstand high temperatures for cleaning and decontamination. They are available in three bright colours – red, green and blue for easy and convenient coordination in the lab. Available in a 2 stack or 3 stack configurations. Each stack accommodates up to 13 plates. Available in a 2 stack side-by-side configuration. Each stack accommodates up to 11 plates.